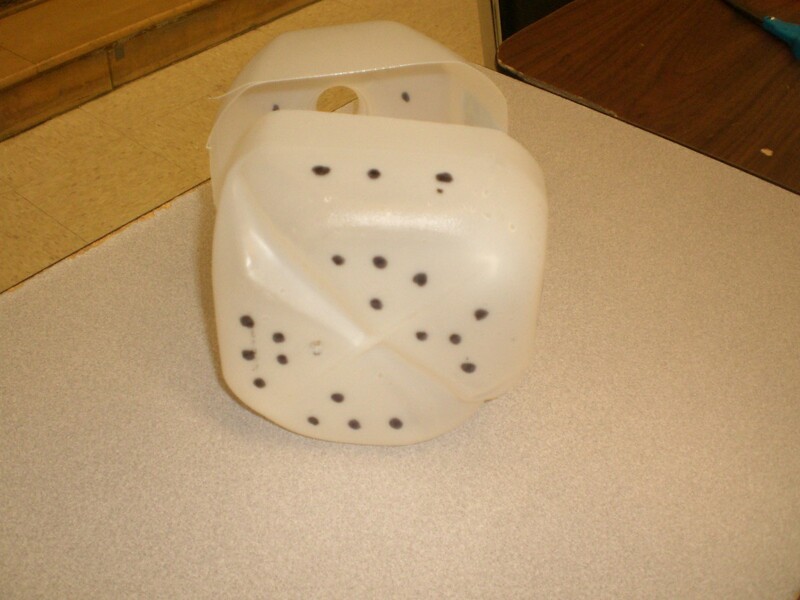 Snow on the ground doesn't need to hinder your getting an early start on planting your spring seeds. 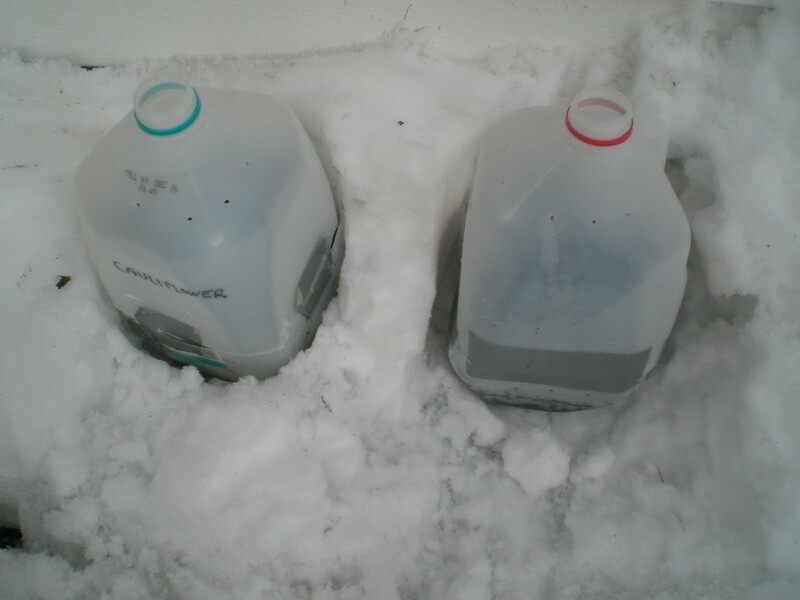 Grab some gallon milk jugs and follow the steps in this guide for starting seeds in the snow. 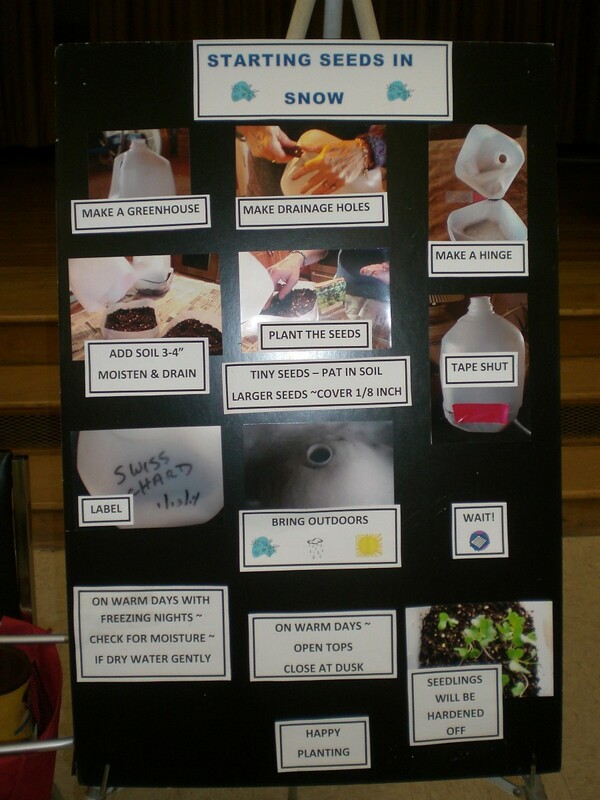 A class showed us how to start seeds in the snow! 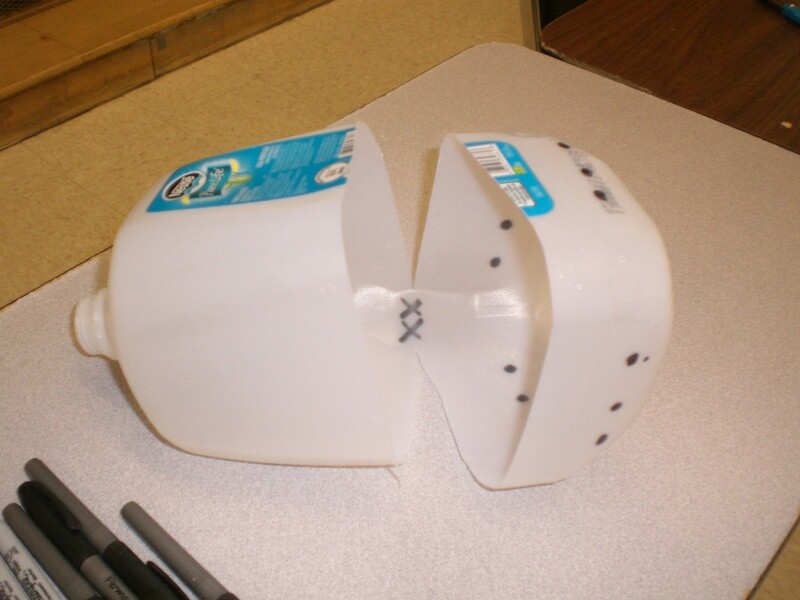 Simply punch holes for air and drainage in an empty gallon container, slice it partially open, but not completely. 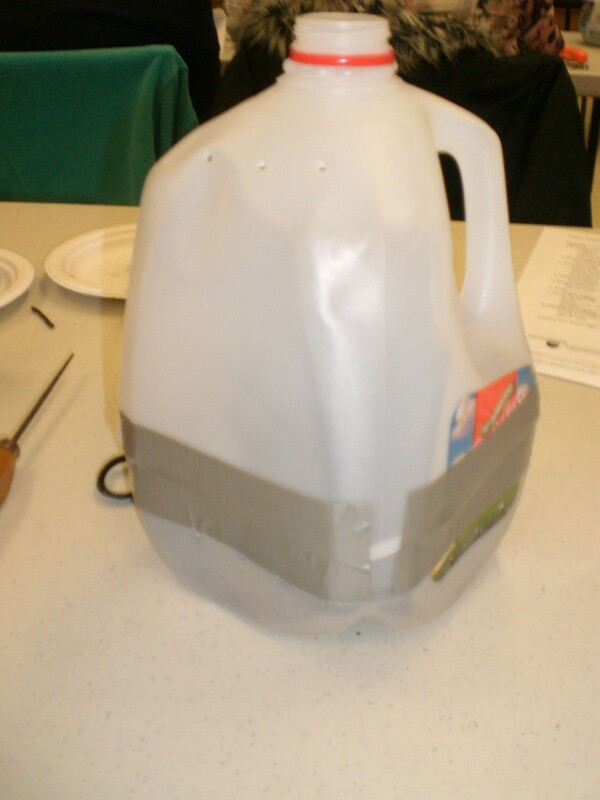 Leave a small section as a 'hinge' (See photo.) 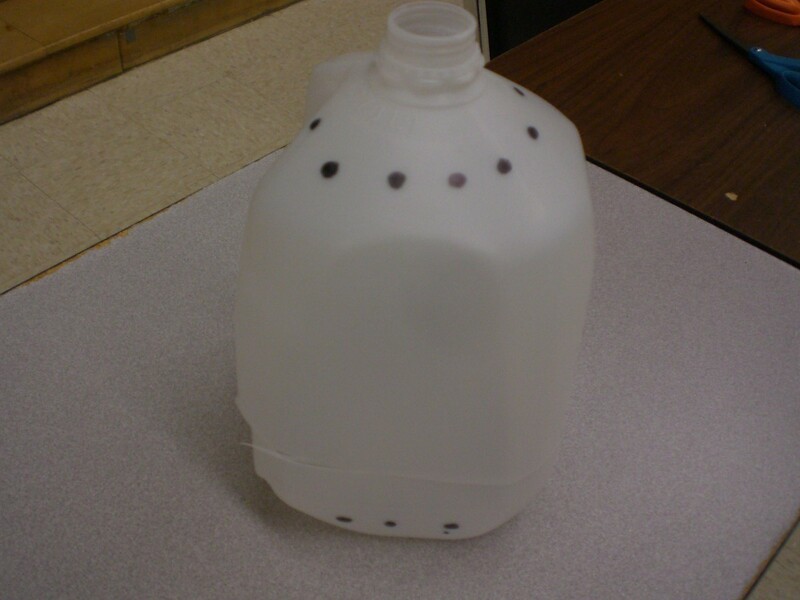 Fill with seedling soil and seeds, tape lid closed, write the date and the seeds you planted in the jug and place OUTSIDE, by a wall for a little extra protection and close enough to check on them. 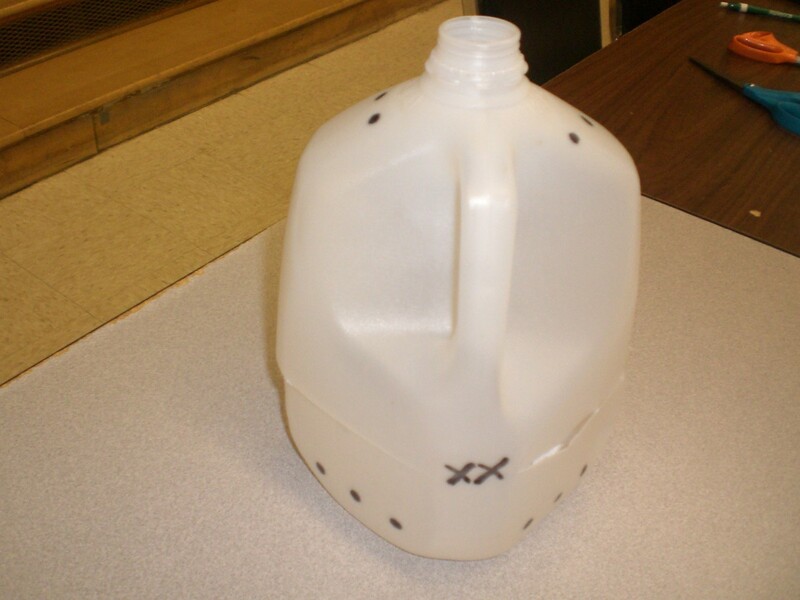 When the weather warms up enough (check moisture through cap hole and gently sprinkle if it needs moisture.) 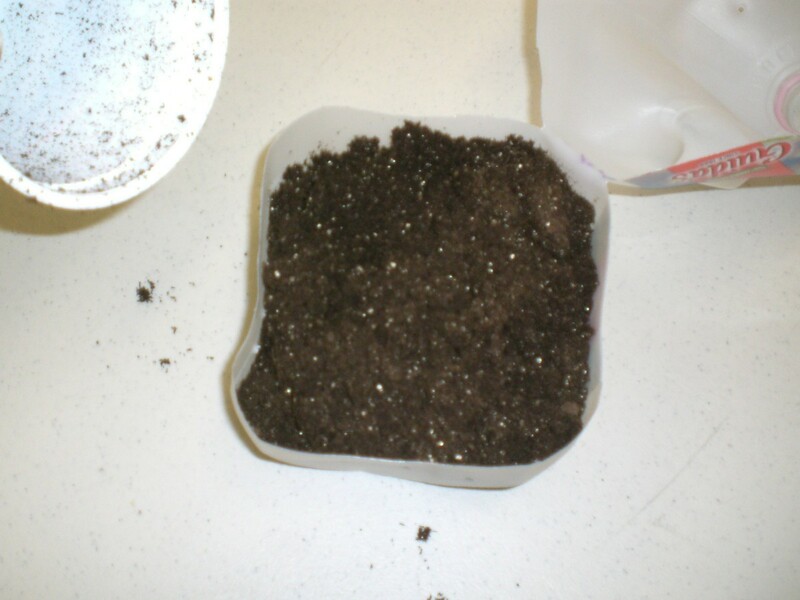 The seeds will start sprouting themselves when their weather conditions are right! Plus they will be hardened for transplanting too! I never knew you could do this!!! Terrific step by step picture directions to go with the wording! 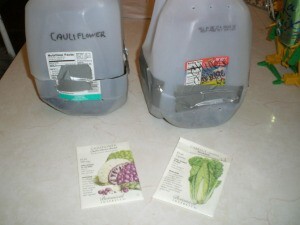 I wish I could read the labels in the picture. Sounds like a fun idea.